For more on feminism click HERE. More on India. 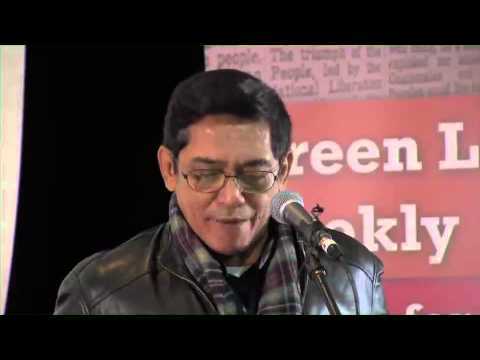 June 23, 2014 -- Green Left TV/Links International Journal of Socialist Renewal -- Indian revolutionary socialist and feminist Kavita Krishnan presented this talk to participants of the Socialist Alliance's 10th National conference, held in Sydney June 7, 2014. Kavita Krishnan is secretary of the All India Progressive Women's Association (AIPWA), a leader of the Communist Party of India (Marxist-Leninist) Liberation and editor of the magazine, Liberation. For more discussion on feminism, click HERE. October 13, 2013 -- Green Left TV/Links International Journal of Socialist Renewal -- Socialist Alliance and socialist youth group Resistance held a seminar in Sydney on March 14, 2013, on the topic of 21st century feminism. Socialist Alliance's Lisa Macdonald, a Green Left Weekly journalist, and Alison Pennington, a member of the Resistance and Socialist Alliance, spoke about the culture of violence that exists in our society, how women can fight collectively to live in an equal and violence-free society, and why socialists wholeheartedly support these struggles. Green Left TV -- Federico Fuentes speaking at the "Organising for 21st century socialism" seminar in Sydney, June 8-9, 2013. Organised by Socialist Alliance. 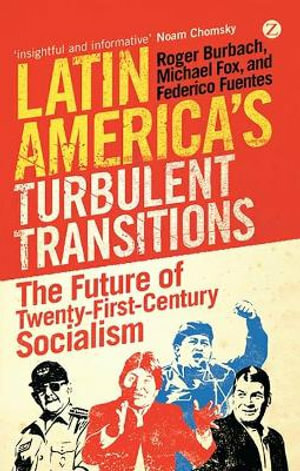 Fuentes is co-author of Latin America's Turbulent Transitions: The Future of Twenty-First Century Socialism. June 27, 2013 -- Green Left TV -- Bob Boughton speaks to GLTV's Linda Seaborn about his experience with the Cuban literacy campaign. Filmed in the GLTV studio at the Hobart Activist Centre. This is an abridged transcript of an interview Linda Seaborn conducted with Dr Bob Boughton for Green Left Weekly. Boughton helped initiate a Cuba-supported literacy program in the New South Wales town of Wilcannia. Tell us about the Cuban “Yes, we can” literacy campaign model. I came across it while working in Timor Leste where the government had invited a group of Cubans to help with their national literacy campaign. They had a model they had developed back in 2000. There are three aspects to the model. One is they mobilise the whole community around the issue of literacy and they build a local campaign structure which drives the campaign. The second aspect of the model is they have a pre-recorded set of DVDs on which there are lessons, and when you watch the lessons you are watching a class learn how to read and write. The third aspect of the campaign is that when people complete the 64 lessons, the community or local government organise activities which allow people to continue to build their literacy. Links International Journal of Socialist Renewal -- The above talk was presented by Paul Le Blanc to the "Organising for 21st century socialism" seminar in Sydney on June 8, 2013. The seminar was organised by the Socialist Alliance. For the full text of the talk, go to http://links.org.au/node/3394. Film produced by Green Left TV. More by Paul Le Blanc can be found HERE. March 17, 2013 -- Green Left TV -- The Venezuelan people have made it clear that, despite the tragic death of their revolutionary president Hugo Chavez, they will continue the Bolivarian Revolution, and build "socialism in the 21st century". This episode of the Green Left Report discusses Chavez's legacy in Venezuela, Latin America and globally, why he was despised by Western governments and future prospects for the Bolivarian Revolution. Rodrigo Acuna, a PhD candidate in international studies at Macquarie University in Sydney, who writes regularly on Latin American affairs in the Australian press and has been interviewed for ABC and SBS Radio. January 30, 2013 -- Green Left TV -- Part 1: The international mainstream media is misreading the Venezuelan people on President Hugo Chavèz (currently battling serious illness), argues Professor Miguel Angel Nuñez, an adviser to Chavèz on agro-ecology, in an interview with Green Left TV. The interviewers are Jim McIlroy and Coral Channel, authors of Voices from Venezuela. While in Australia Nuñez addressed meetings on ecosocialism in Venezuela organised by the Australia-Venezuela Solidarity Network. Filmed and edited by Peter Boyle. Part 2: The progressive redistribution of oil revenue has allowed the Venezuelan revolution to achieve remarkable social progress, in health, education, housing and social justice. But there are major contradictions, not least for the environment, which feeds back into health, food sovereignty and wellbeing, explains Nuñez. January 22, 2013 -- Green Left TV -- Indian socialist feminist Kavita Krishnan spoke to Green Left TV's Pip Hinman about the new movement against gender violence in India. Kavita is secretary of the All India Progressive Women's Association (AIPWA). Filmed and edited by Pip Hinman and Peter Boyle for Green Left TV. For more discussion on the upsurge in feminism, click HERE. For more on India, click HERE. October 24, 2012 -- Green Left TV -- Former Israeli paratrooper Avner Gvaryahu, now an activist with Breaking The Silence, explains to Green Left Weekly's Peter Boyle how 850 former Israeli soldiers have given testimony about the gross injustices against the Palestinian people they have witnessed and made to participate in as part of Israel's military occupation of the West Bank and Gaza. He was visiting Australia to promote the book Our Harsh Logic (Scribe Publications). October 25, 2012 -- Green Left TV -- Several European activists participated in the Australia-Venezuela Solidarity Network (AVSN) brigade to Venezuela in September-October 2012, which witnessed the presidential election won convincingly by socialist President Hugo Chavez. Brigade participant Pip Hinman spoke in Caracas to Christian, a writer and activist with the German solidarity online publication Amerika21.de, about his impressions of the Bolivarian revolution. Film footage of the 3 million-strong October 4, 2012, Chavista election rally provided by Poul-Erik Jørgensen, a Danish participant in the brigade. Green Left TV -- Coral Wynter, an organiser of the 2012 Australia-Venezuela Solidarity Network brigade, gives her impression of the massive October 4 final rally in support of Hugo Chavez in the October 7 presidential elections. For more eyewitness accounts from AVSN members, join the AVSN Facebook page. Click HERE for more coverage and analysis of the Venezuelan revolutionary process. October 9, 2012 -- Green Left Weekly/Venezuelanalysis.com -- Venezuela's socialist President Hugo Chavez has won the October 7 Venezuelan elections with over 54% of the vote against 45% of the vote for right-wing opposition candidate Henrique Capriles. The National Electoral Council's Tibisay Lucena announced more than 80% of the 19,119,809 registered voters in Venezuela participated in the election. October 3, 2012 -- Green Left TV -- Australia-Venezuela Solidarity Network (AVSN) "brigadista" Ryan Mallett-Outrim reports on a Chavista rally which the brigade members attended in Maracay, Aragua, on October 3, just four days before the 2012 Venezuelan presidential election. The Australian solidarity activists were warmly welcomed in the massive crowd. For more eyewitness reports, photos and videos from the AVSN brigade visit the AVSN Facebook page and the AVSN website. September 28, 2012 -- Venezuelanalysis.com -- I’ve witnessed the self-assured superiority of Paris, the imperial arrogance of Washington, the capitalist decadence of New York’s Manhattan, parliamentary elections in Germany and my fair share of elections in Britain. In none of them have I encountered a democratic political culture as profound as Venezuela’s. September 16, 2012 -- Green Left TV/Links International Journal of Socialist Renewal -- Celebrated Israeli historian Ilan Pappe, whose landmark publication The Ethnic Cleansing of Palestine documented the removal of 700,000 Palestinians from their lands in 1948, has written a new book, The Forgotten Palestinians. In the book and at his September 16, 2012, community meeting at Sydney University above, Pappe reveals the situation for Palestinians who still live within Israel's borders. The meeting was the first event of Pappe's 2012 Australian lecture tour. It was hosted by the Sydney Peace Foundation with the Coalition for Justice and Peace in Palestine and Leichhardt Friends of Hebron. Pappe was in Australia to deliver the annual Edward Said Memorial Lecture at the University of Adelaide. Film by Green Left TV. September 10, 2012 -- Green Left TV -- A 56-minute presentation by Brian Senewiratne at the Fremantle Town Hall, Western Australia, on September 1, 2012. Senewiratne is a veteran campaigner for the rights of the Ilankai (Sri Lankan) Tamils, and staunch advocate for the right of Tamil self-determination. He is a Socialist Alliance member in Queensland. The forum was organised by a new network called "Human Rights in Sri Lanka and Tamil Eelam". There has been a surge of refugess fleeing repression in Sri Lanka, some attempting to make the entire crossing of the Indian Ocean to Australia without stopping. The genocidal violence of the government of Sri Lanka and the determination of the ruling Labor and opposition Liberal parties in Australia to "turn back the boats" go hand in glove.